Solomon said attachments were meaningless. Jesus preached about eternal life. The Buddha sought Nirvana. 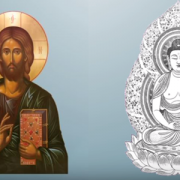 What can we learn from these three spiritual masters? Join Adam Ericksen as he explores the spiritual practice of detachment in Judaism, Christianity, and Buddhism.